AppSlix is a fast growing media company. We develop new and innovative ways to improve online advertising solutions for both advertisers and publishers, by implementing the most advanced technologies at hand. AppSlix expertise in targeting high quality traffic and media optimization, delivering a finely tuned, allround solution for our clients on all mobile devices and platforms. A wide range of cooperation with a variety of direct partners allows us to be extremely flexible with our product while also being equally innovative and staying one step ahead of our competitors. We make it our business to best understand the crucial needs of advertisers and publishers. Making sure they acheive the most out of their mobile spend descisions and maximum returns on their investments. AppSlix is commited to its' customers day in and day out in order to ensure they reach their true potential. With a unique mobile app and content distribution system, we are able to funnel all of our resources towards extracting only high quality targeted leads, subscriptions and installs for your business. By finding the right media mix for every vertical and targeted goal, your business will be able to take maximum advantage from our technology. 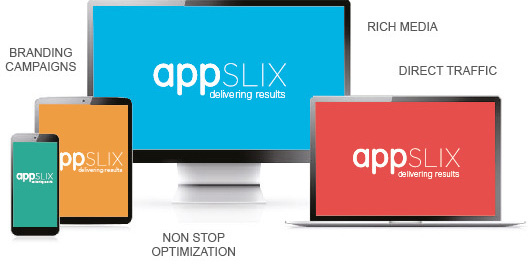 At AppSlix we beleive that only direct high quality traffic makes for great business developement. Reaching and allocating premium leads for our partners campaigns is one of our main qualities. At AppSlix you will find a true home base for reaching thousands of quality subscriptions on a daily basis. No matter which OS you are using, or which device, AppSlix will be there. Our Multi-Platform integration technology allows our clients to benefit from an integration of content promotion at its' best. In just one year, Affiliate World has taken over both Europe and Asia to become what Neil Patel considers the "only ABSOLUTELY MUST ATTEND global conference for superaffiliates or anyone who aspires to become a superaffiliate." Affiliate Summit West 2017 (ASW 2017) will be where Business and Marketing professionals get together to discuss ideas and assessments to advance knowledge for Business, Marketing, Affiliate Marketing, Merchandise, Affiliates and Vendors matters. September 13 & 14, 2017. Thanks to its outstanding international conference program, for two days dmexco will be the hotspot of the digiconomy. The leading thinkers of the digital economy will be coming here from all over the world in order to present and discuss the latest trends and innovations. Previous mobile or online marketing experience preferred. Analytical, negotiation skills and sales oriented - A Must. pro-active, charismatic, professional, multi-tasking, motivated, organized and responsible person. Ability to work in a team-oriented, client-focused environment. Fluent English is a must, other languages are an advantage. We are looking for talented Programmatic & RTB Media Buyer to join our mobile team. this position will focus on buying, managing, and optimizing performance-based online mobile media. We are looking for a creative candidate, with analytical skills and proven media buying experience. The role requires an experienced professional who is technology driven and focused on ROI. At least 1 year of Prior management on a Digital display, programmatic, RTB, and retargeting platforms. Results-driven professional with exceptional detail and knowledge around metrics. Fluent English is required. Other languages are a plus.